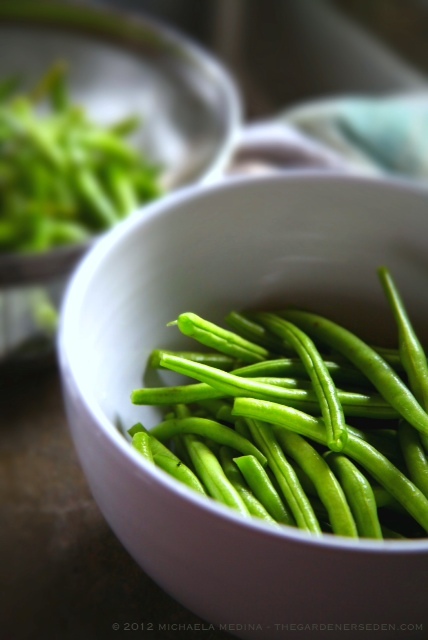 Here in New England, a moment exists each growing season when the stars align and your local farmstand, farmer’s market or (if you’re really amazing), own garden suddenly has all the necessary ingredients for the first batch of Dilly Beans. I have the fortune of working in the ‘stand at Walker Farm in Dummerston, VT and this past Thursday it happened. On Wednesday, the fantastic field crew picked seven bushels of beans and then four more the following day. That means beans coming out our ears for a few days. 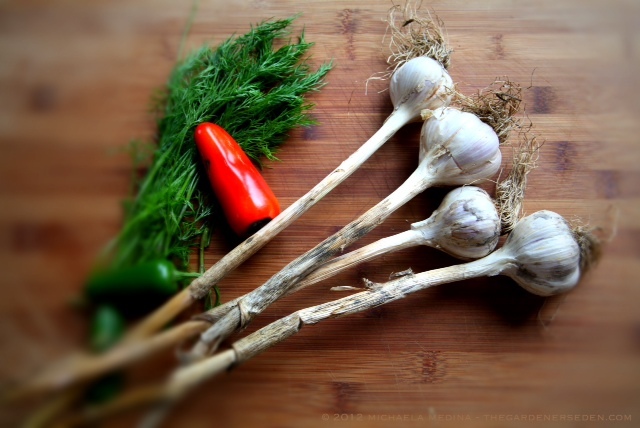 The first, shy harvest of red chilies appeared in a small bowl, bouquets of dill heads made my mouth water in anticipation of eating pickled things and the garlic has been harvested and waiting patiently for several weeks now. It’s time to pickle those beans! This is where I’m supposed to give you a nice tutorial about making Dilly Beans; a specific recipe, step-by-step instructions and such. Unfortunately, I’m not that kind of person. I’m not very good at specifics and I almost never following directions exactly and I certainly don’t do anything the same way twice. But, if you were here with me, I would be happy to show you how I do it. Side by side, you would help me find eight wide-mouth pint jars in the storage space under the stairs, wiping away cobwebs and hoping no mice scurried out. You would fill the dishpan with hot, soapy water and then wash the jars, the brand new lids and the old screw caps. Together we would wait a long, long time for the half-full kettle of water to come to a boil, discovering while we waited that I didn’t have enough white vinegar for the recipe. 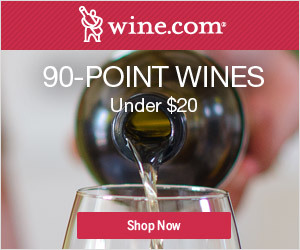 I would send you to the store for that. Thanks, it’s so nice to have a helper! I’d want to show you how I organize my workspace so that the jars are being sterilized in the large pot of water on the left front burner, the lids are simmering for 10 minutes (not boiling!) in their own separate pan on a back burner and the pickling liquid is simmering on the other front burner. We’d remove one jar at a time from the hot water and pack them with the beans I’d prepared the night before (washed and trimmed), garlic cloves, chili peppers and dill. We’d fill the jars to a ¼” from the top with the hot pickling solution, remove any bubbles, wipe the top, slap on a lid and load each one into the canner basket. Likely, there are much better ways to go about packing jars with garlic, chilies, dill and beans. I’m not very good at it and it takes me way longer than it seems like it should. (Maybe if you were here you would have come up with a more efficient way to stuff all those beans into jars!) But eventually, all 4 pounds of beans and spices would be nestled into jars and lowered into the canning pot. Once we reached a rolling boil, we’d set the timer for 10 minutes. Tick, tick, tick….ding! After a short rest, we’d use the super-cool jar tongs to remove them from the hot water. Then we’d high-five and tell the cat to clean up the mess while we sat out on the porch toasting our efforts with a cool beverage. I’d give you your very own copy of the Ball Blue Book Guide to Preserving and you’d eagerly look through it for your next canning project (balsamic caramelized onions, sweet and spicy pepper relish, bread and butter pickles, tomato sauce, tomatillo salsa, hot peppers for sandwiches, barbecue sauce), knowing how easy it is to preserve the summer’s bounty, once you learn the ropes. *For all the important canning safety basics and full recipe with directions, please take the time to locate a good book from the canning canon and do your homework. 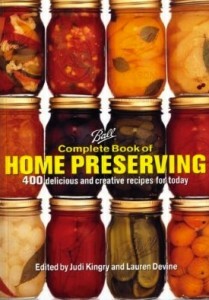 The previously mentioned Ball Blue Book Guide to Preserving is a very approachable, easy-to-use introduction, full of inspiring recipes. It’s a reasonable $9 or so and you might even find it at your local hardware store along with all the necessary canning supplies. Have fun! Today’s guest blogger, the multi-talented writer Jennifer Audette, is author of the always entertaining and often humorous Cozy Toes Blogspot. When not experimenting with canning, baking, cooking, horticulture, entomology or other scientific pursuits, Jennifer can also be found hiking, making music, writing and delivering smiles to her very fortunate friends. Haricots verts —or French-style filet beans— are slender, deep green and very flavorful. 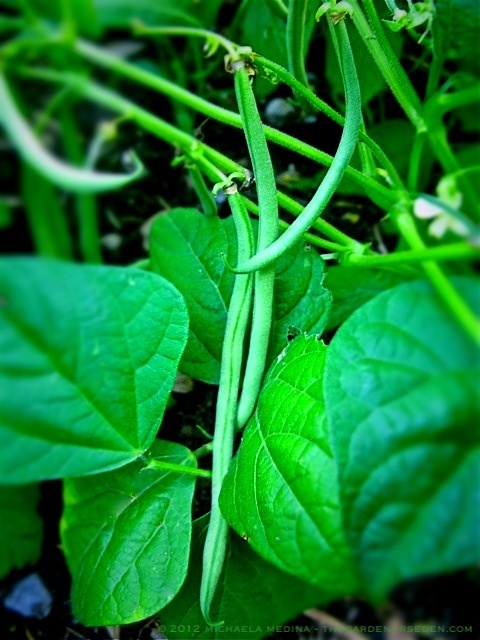 All beans should be picked frequently in mid-summer —daily when hot— to insure they don’t go to seed. For best flavor and texture, harvest beans when they are no thicker than the diameter of a pencil. As with most crops, I think it’s best to pick beans very early in the morning, before the heat of the day. Marigold and Summer Savory —believed to improve the growth of bush beans and deter beetles— are fantastic companion plants for haricots verts. Enrich soil with well rotted compost and provide plants with regular foliar feeding (applying liquid fertilizer to leaves in a spray or shower) of Neptune’s Harvest or fish emulsion to insure strong, healthy plants and a beautiful, tasty crop. Always wash beans thoroughly when harvesting, especially after applying fish emulsion or any fertilizer. 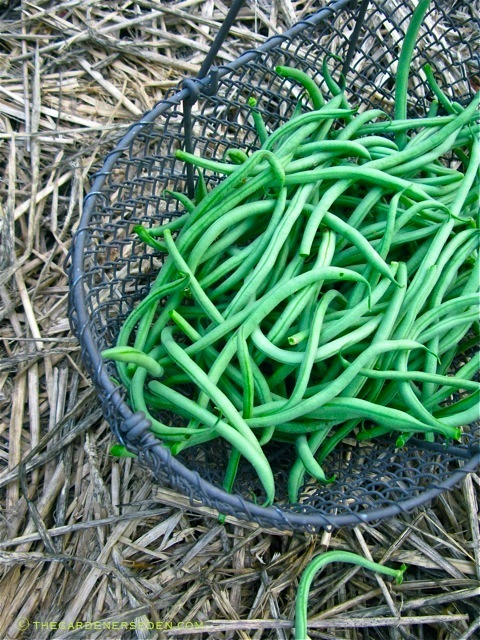 Green beans provide their best yield during the first three weeks of harvest. With this in mind, I like to succession plant this crop for a steady supply of tender young beans straight through the killing frost. Dilly Beans: Easy Entrance to the World of Canning ⓒ 2012 Jennifer Audette. Photographs ⓒ 2012 Jennifer Audette and Michaela Medina for The Gardener’s Eden, as noted. 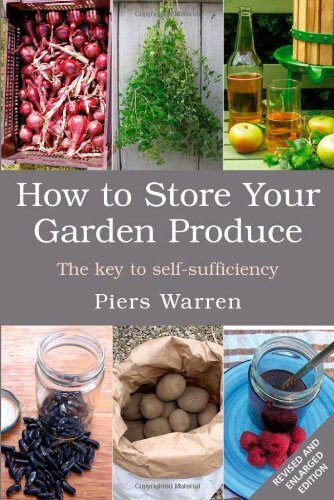 All images, articles and content on this site (with noted exceptions), are the original, copyrighted property of The Gardener’s Eden and may not be reposted, reproduced or used in any way without prior written consent. Contact information is in the left side bar. Please do not use photographs without permission. Thank you! 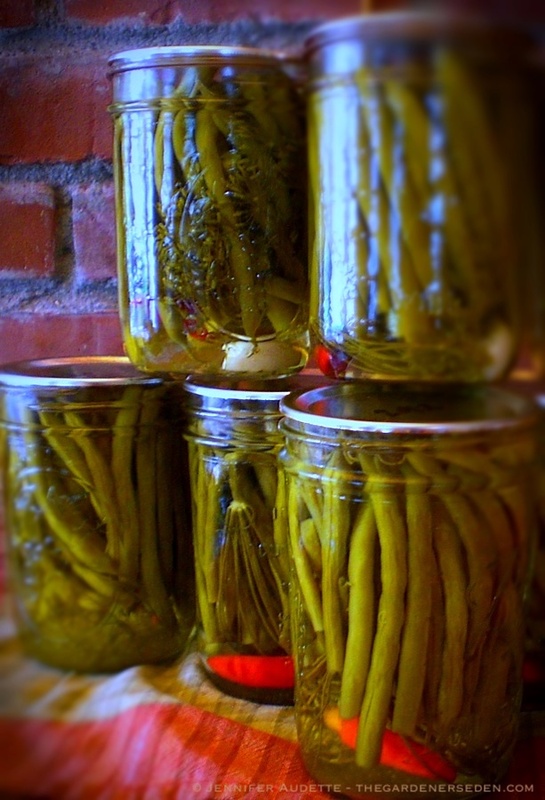 § 7 Responses to Dilly Dallying in the Pickled Beans: An Intro to Canning with Jennifer Audette"
I loved this article! Such a beautiful description of a labor of love! That’s my girl!! Save a pint for me. You are awsome. Wow. 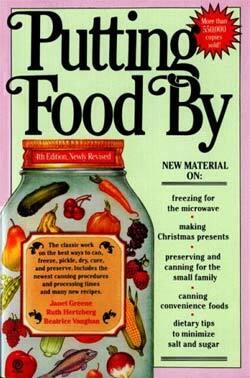 I’ve never tried canning, but now I am inspired! I too prefer savory over sweet, and would like to try pickled beets. Thank you, Jennifer! Thanks to Michaela for asking me to guest post! I enjoyed the assignment. Dad – since you bring me quarts of honey, I can probably set aside a pint of dilly beans for you. And you know I’ll be making an entire batch of pickled green tomatoes for you! 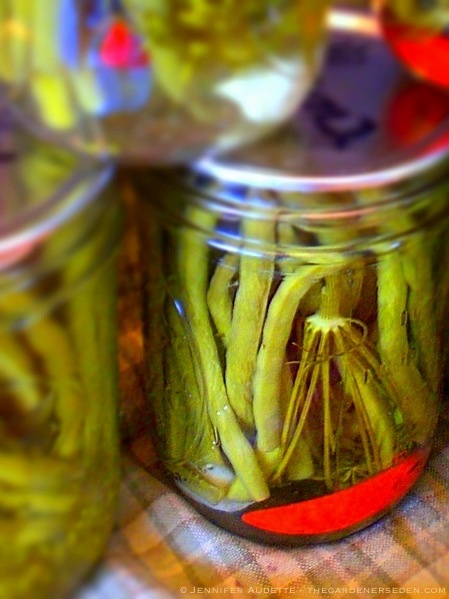 Emily – Dilly Beans will be a perfect way to get started with canning adventures. I’ve never made pickled beets, but they certainly are a classic. Good luck and have fun! Hi Jen, great job!! Thanks for this wonderful description: everyone should know how dead simple it is to put away food for the winter! Cook your beets, allow to cool enough to handle, using rubber gloves to keep your hands from getting stained (you may also want to wear something old). Slip the skins off to “peel” the beets (this is my favourite part) then cut into desired sized pieces. Use the basic brine ratio and instructions like Jen’s above: water/vinegar/salt plus a bit of sugar to taste. Some people also use pickling spice in their brine solution. (I prefer a little horseradish root for a bit of kick; ) Just add a sliver to each bottle as you go. Hope this helps – bon appetit! Deb, that sounds delicious, with the horseradish root! I love that idea. Also, great “grandma tip” about reusing the boiling water to retain the color. You are currently reading Dilly Dallying in the Pickled Beans: An Intro to Canning with Jennifer Audette at The Gardener's Eden.